South Sudan is the world’s newest nation; it was formally declared in 2011. However, it lacks many of the basic elements that make up strong nations, and as Yasmin Sooka, Chair of the Commission on Human Rights in South Sudan, recently declared, it is embroiled in its third civil war in 50 years and on the brink of genocide once again. Sooka shared devastating statistics with the UNHRC. A quarter of South Sudan’s population is displaced, one third are severely food insecure, and in the refugee camps that house these displaced people, 70 percent of the women have been raped. The government, with 837 percent inflation rates, per capita spending rates five times that of its neighbors, and a lack of constitutional mandate or even agreement, is helpless to stop the problem alone. Sudan and South Sudan have been at war far more than at peace since Sudan’s independence in 1953. The conflicts stem from problems that are numerous, complicated, and deeply entrenched. Egypt nominally controlled the Sudan from 1820–1953; through the Egyptians, first the Ottomans and then the British maintained interests and control in Sudan. The north, which was mostly Muslim, Arabic-speaking people living in arid conditions, was governed separately from the south, whose population was mostly English-speaking animists and Christians living on fertile land. Between the two regions, which the colonial government deliberately pitted against each other, lie rich oil fields. South Sudan owns the oil fields, but since it is a landlocked nation, it is obliged to use the pipelines and ports in the north, allowing for tentative revenue sharing. Six months after independence, South Sudan shut down the oil fields because of a fee dispute, cutting off 98 percent of its revenue for fifteen months. The lack of revenue hampered the ability of the government to provide stability, and South Sudan reverted to internal armed conflict in 2013, when President Salva Kiir dismissed a number of officials, including vice president and former warlord Riek Machar, whom Kiir accused of orchestrating a coup. In addition to the geographic divides, Sudan and South Sudan are home to numerous ethnic groups. Members of the military have been ethnically based armed units far longer than they’ve been an institutional army, and when faced with instability and conflict, that’s what they have again become. Machar is particularly adept at manipulating ethnic tensions, and is partially responsible for ethnically motivated atrocities such as the Bor Massacre in 1991. 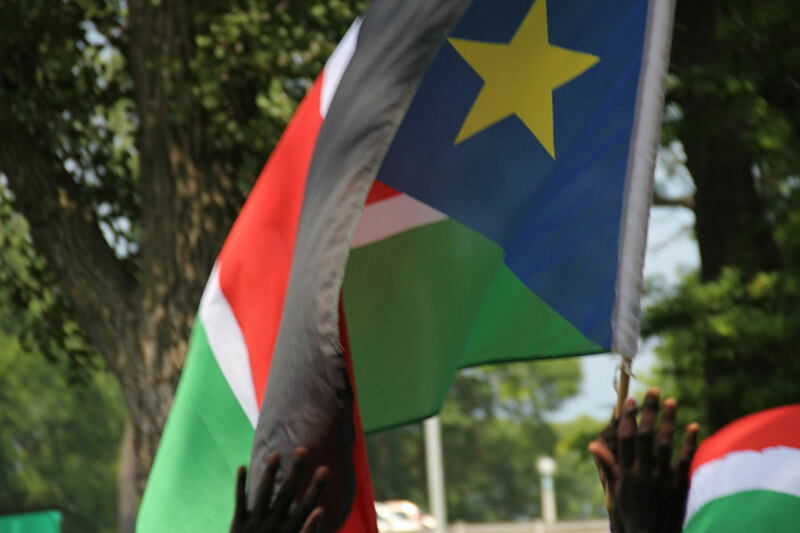 Because of the many strong conflicts among South Sudanese groups, there is widespread agreement that outside intervention is needed to broker peace. A peace agreement was signed in 2015, but Alex de Waal, Executive Director of the World Peace Foundation, has said it is not a practical solution. The UN maintains a peacekeeping mission in South Sudan, but forces encounter resistance from both the South Sudanese government, which doesn’t want them, and the international community, which has accused them of failing to protect civilians. Aid workers themselves have been victims of violence, hampering the ability of NGOs and other aid groups to get to the people suffering in the countryside. There have been calls for UN intervention, U.S. sanctions, African Union intervention—anything that has a chance to stop the deaths of millions.